Monday: went to see Inception...marvelous. What are your Top 2 Favorite Things About Fall? I love all holidays, and this is arguably my favorite-est of all! I love the costumes, the tricks, the festiveness, the traditions! All other holidays have some serious subtext (Birth of Christ, re-birth of Christ, etc. ), but not this one! All silliness all the time. 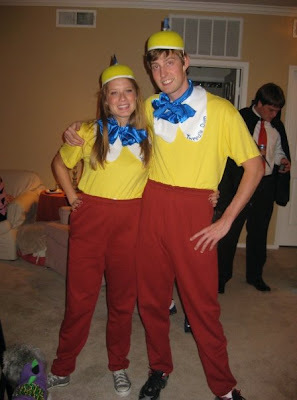 Last year manfriend and I did this:....Tweedle Dee and Tweedle Dum. Ridiculous. Although the fat pants were comfy .... NOT. HOT. Yes, he made his "mad" face pretty much all night. 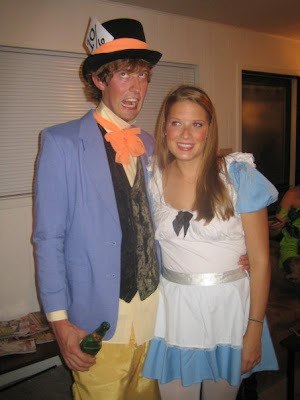 For this year, I think I'm off the Alice in Wonderland thing and have another couple of great ideas up my sleeve! PS: Although I'm a day late, (sorry, Labor Day I didn't even open my computer) there is another fabulous edition of Mingle Monday happening over at Life of Meg. Get it. I love love love Halloween! It is one of my most favorite holidays of the year! I always look forward to fall just for this holiday haha. Yay! I love your choices! Cute costumes. I totally agree about the pumpkin - my favorite indulgence for fall! Hi Casey! Thanks for the blog comment! Yours is so cute! 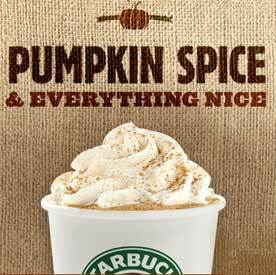 I am now inspired to get a pumpkin spiced deliciousness item at Starbucks. The couple Halloween costumes you and your man friend put together are awesome. I would love to do that with the husband but last year he just bought one of those giant magnet costumes with the chicks all over it (chick magnet...clever..). Can't wait to see what y'all come up with! Great picks! Love all things Pumpkiny.